An affiliate of Galeries Lafayette and Casino, equally, Monoprix was established in 1932 in Rouen, France. The Monoprix Group owns five banners namely Monoprix, Monop, Daily Monop, Beauty Monop, and Naturalia. There are in excess of 400 stores in France operating under these banners. 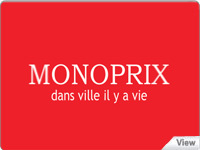 Monoprix is the leader of the city center retail in France. Their banners are notably present in 85% of the cities housing more than 50,000 inhabitants. 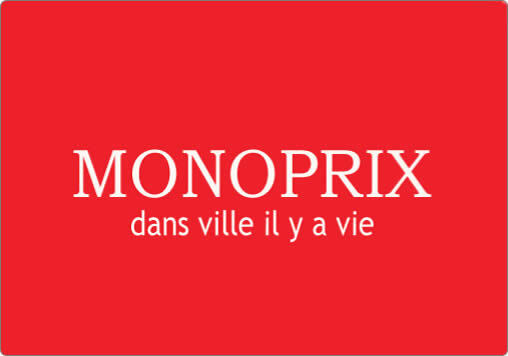 Everyday, approximately 1,000,000 consumers visit Monoprix stores. The group generates a turnover of approximately €3.5 billion per annum, and employs more than 20,000 employees in France. 287 stores operate under Monoprix. 50 stores operate under Monop. 13 stores operate under Daily Monop. 5 stores operate under Beauty Monop. 49 stores operate under Naturalia.